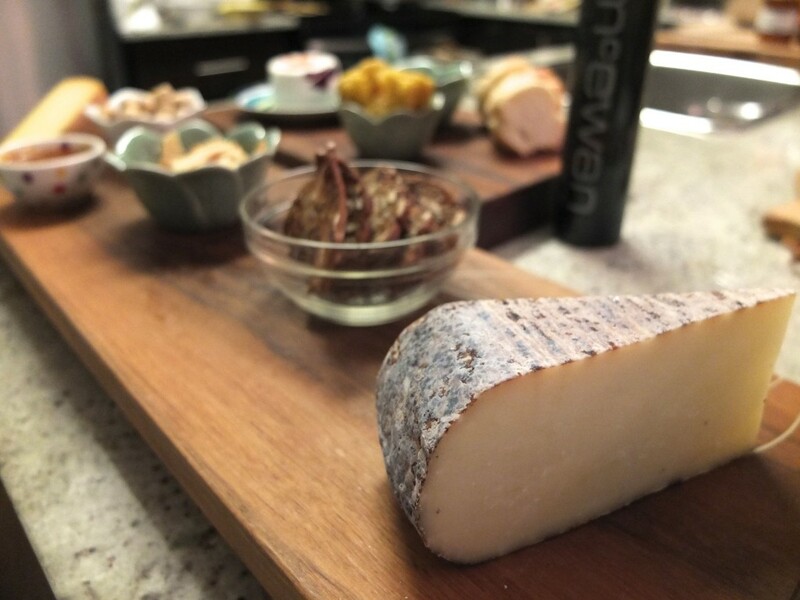 A couple of weeks ago I went grocery shopping at McEwan Foods which is a foodie's dream! This grocery store has everything you need for healthy gourmet. Plus many prepared foods in case you need a healthy meal in a snap. I was inspired in the produce section as you can see to create some stuffed peppers. I created a vegetarian option as well as a chicken option. They turned out delicious and really fulfilling! 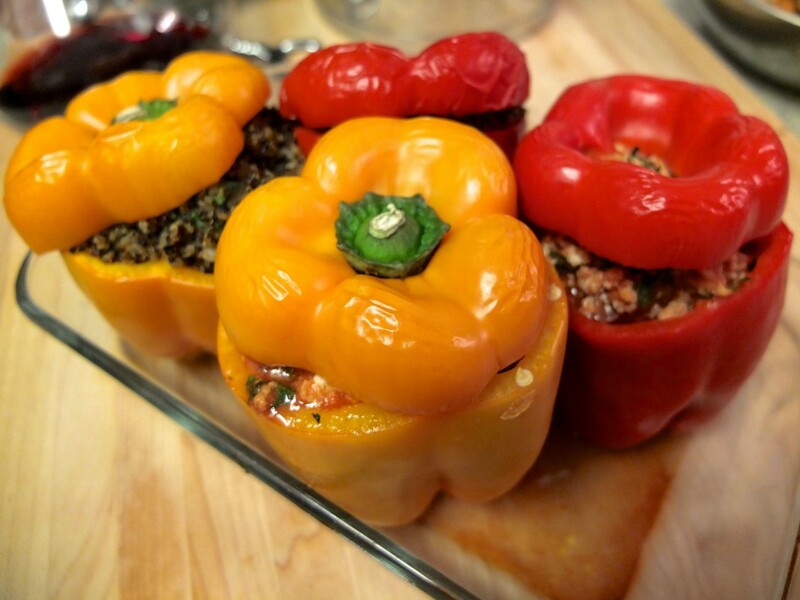 Packed with fiber, vitamins, minerals and incredibly satiating, I hope these stuffed peppers become a regular in your home. I had a bunch of friends over on a recent Saturday night and Walker and I cooked for them. These peppers were a hit! In a medium size pot, bring water and quinoa to a soft boil. Reduce heat to a simmer and place lid on top of pot but leave open slightly to let steam out. Stir every so often until quinoa is fluffy, approximately 15 minutes. Meanwhile, in a pan saute onion and garlic for 3-5 minutes. Set aside. Combine cooked quinoa, onion, garlic, tamari, seasonining, evoo and parsley together in a large bowl. Give it a taste test. Decide if it needs any more seasoning. Wash and cut the tops off sweet peppers, do not discard the tops. Clean out the seeds and carefully spoon quinoa mixture into each pepper. Place peppers on baking sheet and put the pepper top back on the pepper. Bake for 25-30 minutes or until peppers are getting soft. Be careful not to overcook. I also made these peppers with Mennonite chicken. They were equally as delicious! Follow the same ingredients as above, minus the tamari and cayenne. Using 1/2 to 1lb of ground organic or Mennonite chicken, saute until fully cooked with the onion and garlic. Add 1 cup of tomato sauce to the ground cooked chicken. Stuff peppers and bake for the same amount of time. I also put together a platter of delicious for my friends to snack on while Walker and I were cooking in the kitchen. We had a platter from McEwan's of pickled items (my faves this time of year!!!) including curry pickled cauliflower (super YUM), raw and organic cheeses, crackers, hazelnuts and extra virgin olive oil. As you might have guessed, I don't eat very much cheese so when I do I make sure it's the highest quality. The cheese at the back was a local goat cheese with edible flowers. OMG, it was to die for! So creamy and rich. Walker and I often go to an Italian restaurant in Leslieville which inspired another recipe we created with ingredients we bought from McEwan's -- tuna white bean croustini. They have a really great fish and seafood counter at McEwan's. I will save that recipe post for another day. It was smashingly yummy! For dessert, we had some mint Giddy Yoyo dark chocolate. It's raw, wild, Ecuadorian organic chocolate and is the best chocolate on mama earth. Seriously, once you eat Giddy Yoyo you will never go back to processed chocolate again. 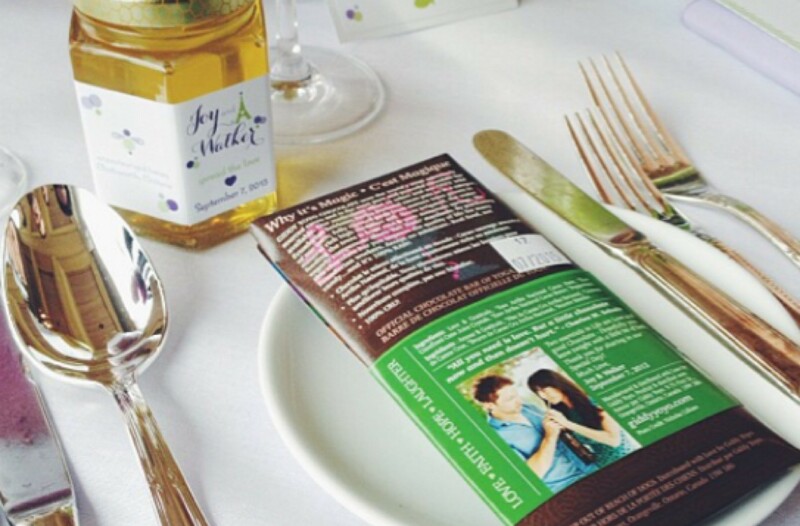 In fact, we had Giddy Yoyo chocolate bars at our wedding for all our guests (as you can see in the photo below), that's how much we love them! And of course we had vino! With our appetizers we had my favourite local white wine called Connect White by Southbrook in Niagara, Ontario. It is organic, fruity, but not sweet and it is very refreshing.